AED Motorsport Products – Indianapolis. AED, The World’s Fastest Metals Distributor , is now stocking 4130 chrome moly for sprint car axles, 2.50” x .095” in 27’ lengths to maximize yield and to accommodate the longer axle lengths and minimize production waste. Reducing cost associated with the typical mill random lengths. Also to maximize yield AED is stocking 28’ lengths of 1.5” x .095” for side rails. As a metals distributor we don’t have much high tech experience to share, what we can do is prepare our materials to fit the needs and applications of our customers” Al Lowe Pres. 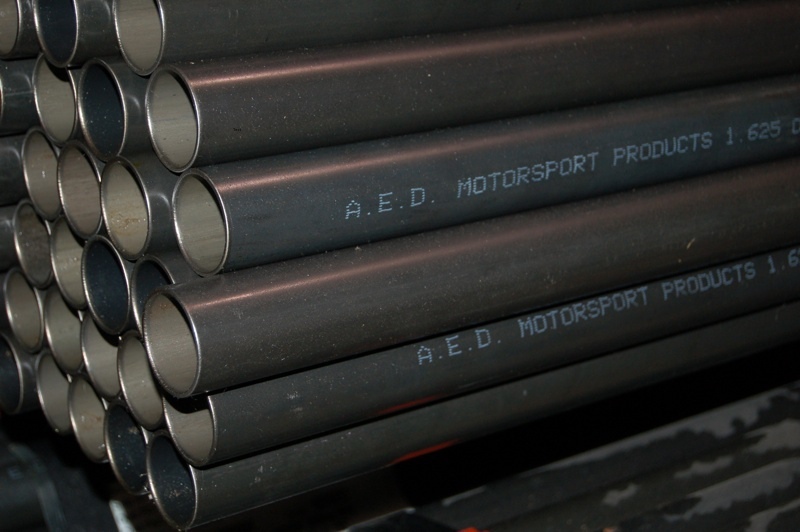 For manufactures of Top Fuel and Nitro Funny Cars – AED maintains inventory specifically to meet or exceed the SFI specifications for mechanical and chemistry characteristics of 4130 alloy tube. ALL MATERIALS PRODUCED IN THE U.S.A.
AED distributes fabrication metals specifically for the motorsport applications. Stocking 4130, stainless, mild steel, aluminums, titanium and carbon alloys. Products are available in tube, sheets, plates and bars and offered in full sheets, tubes or bars and in large volume packages. Contact: Al Lowe – Pres.